We took Montague Paratrooper for a Ride! Dahon is one of the world leaders when it comes to manufacturing folding bikes. You need to never look any further when it comes to folding bikes that come with an edge in terms of competitiveness, style, being friendly to the wallet or being great bikes overall. Dahon is one of those companies that always strives for perfection and they’re always trying to make the next big thing. 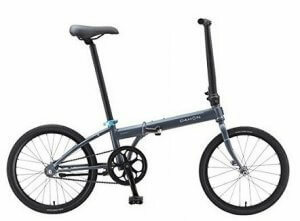 Meet the Dahon Speed Uno Folding Bike. This bike doesn’t look like a lot from the outside but when you take a peek inside, it’s relatively easy to see what it’s all about. First, let’s go over each any every feature of this bike which will be explained in detail later. So what exactly is a single speed bike and how is that beneficial to anyone in any kind of environment? Single speed bikes don’t mean that bikes are slow or that they don’t pack some kind of power inside of them. All single speed means is that there’s only one particular gear to help propel the bike. You’d be surprised at how fast some of those single speed bikes out there on the market go. Some of them can outrun 6 speed or even higher speed bikes. So, we have a single speed bike but what does it offer? 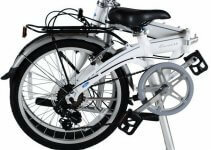 One of the main concerns of folding bikes is the weight capacity. Some people fear that they’re too heavy and the folding mechanism will collapse on them as they’re in the middle of riding the bike and some people feel that they’re too heavy to get the bike to propel in the first place. This is a perfectly reasonable concern with folding bikes but not with the Speed Uno Folding Bike. This bike holds an impressive 230 pound max weight and is built for durability. Trust me, you won’t have to worry about this bike snapping on you anytime soon. When looking at the overall design of the bike from a front perspective, it’s hard to see why it’s anything special. You don’t really see anything unique about the bike when you first glance at it, so what’s the big deal? Well, for one, Dahon has their own unique style when they build their bikes and they usually don’t go out of their way to go all out or build bikes that cater to people who crave style? I think being simplistic in their style of bikes is enough to be stylish on their own. When you get a Dahon bike, you get a bike that looks like this. The Speed Uno Folding Bike is relatively simple in terms of style and we’ll start with the handlebars. First, you have the long turtleneck looking handlebars that can be adjusted to adhere to any kind of rider. The only downfall is some people don’t like to lean down when they’re riding but you get used to it relatively quickly. Also, there’s the high rising seat which is also easily adjustable. So how does the overall design and style fit into the overall comfort and usability of the bike? Does it add anything that other folding bikes don’t? One of the greatest things that this design of the bike does is that it allows for people up to 230 pounds to use the bike. Folding bikes in general aren’t well known for allowing heavier people to use the bikes. With the overall design of the bike, you can also rest assured that this bike is easily folded up into a very small size as well. This bike can be folded up to a size of only 11 inches by 30 inches by 25 inches when it’s completely compact. It’s not one of the smallest bikes on the market but it’s quite versatile and will fit just about anywhere you have to put it. What’s the overall comfort of this folding bike like and what makes it better than some of the other folding bikes out there? What makes this bike more durable than other bikes out there on the market today? Folding bikes or traditional bike seats in general aren’t usually known for being comfortable and it’s one of those things that a lot of people shy away from. Who likes to sit on a seat that’s going to leave their rear end sore after hours of use? We didn’t so when we reviewed this bike, we wanted to focus on the bike seat. This bike seat while it’s not the most comfortable seat we’ve ever tested is highly durable and actually quite comfortable. It’s quite fleshy and the material bends in the right places to ensure you’ll get spread out over the seat and won’t injure yourself when riding. 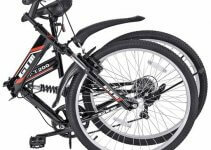 Max Weight – This folding bike has a better max weight capacity than some other folding bikes as it supports up to 230 pounds and may hold a little bit more. Small Folding Dimensions – This bike only comes in at 11.7 by 30 by 25 inches when it’s folded up which makes it great for travelling and convenience while storing. 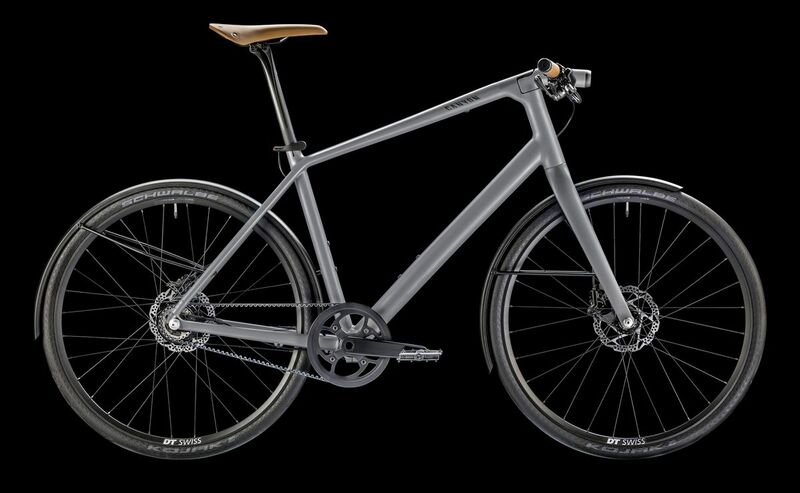 Great For City Travel – While this bike isn’t recommended to hit the open road and start hitting jumps on mountain trails, this bike is perfectly ideal and arguably better than most folding bikes on the market for commutes and inner-city travelling. It has great stopping power and performance when obtaining peak power. 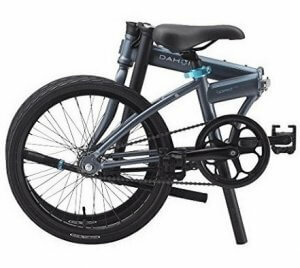 The Dahon Quality – When it comes to quality and promise, Dahon folding bikes comes in at a very far reaching number one. Nothing beats Dahon folding bikes in terms of quality and the Speed Uno folding bike is no exception. Backed by a strong frame, a highly durable tire set, a strong handlebar with great turning and a reliable gear set, this folding bike is something you have to try out for yourself to believe. Tire Quality – Have you ever been on a folding bike or any bike for that matter and had to stop on a dime? Well fortunately, the tires featured on this bike not only had great treads but they were great with stopping power. We were easily able to stop on a dime and could easily accelerate back up whenever we needed. What About Turning? – One of the things we always struggled with on other folding bikes is turning. We don’t know exactly what it is and perhaps it has something to do with how other folding bikes are folded in comparison to their handlebars, they’re usually had to turn. This folding bike, the Speed Uno turns whenever we need it to and does it relatively quickly. Q: I can’t get the hinge open and I’m afraid to use force, should I? Q: Does this bike ship worldwide? A: Yes, this bike ships worldwide but beware, some areas will pay a lot for shipping. Q: Can you take this bike over jumps? A: It’s definitely not recommended or tested. This is an inner-city bike and not a mountain bike.